It’s never easy getting someone to agree to be a case study. Most people eligible for Winter Warmth Fund grants are by definition, in need. They are also quite proud, don’t like asking for help, don’t expect to get much help and are genuinely shocked at how easy it is to get this little bit of help from Cumbria Community Foundation. Sheila is 74, lives alone in Carlisle and receives pension credit. She knows how difficult it can be for people in her position. “I only put my heating on when it’s really cold, for about half an hour, just to warm the place up. 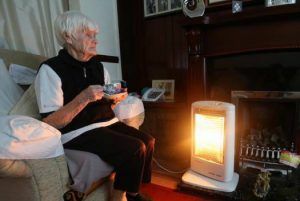 “I can understand how some people are frightened to put their heating on, or go without food. You never know what the bills are going to be. Sometimes, it’s not too bad, other times you get a shock. “You definitely feel the cold more as you get older. A few years ago I would have gone without an overcoat – but not now. 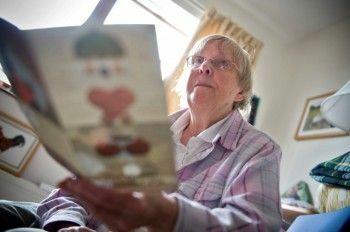 Mary is 83 and lives alone in a one-bedroom first floor flat in Carlisle. 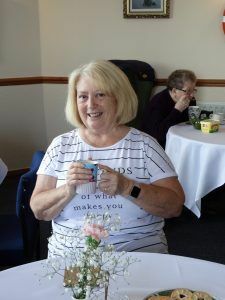 Every day she goes for a walk to keep fit and considers herself to be lucky to live in sheltered accommodation where everyone looks out for one another. “I live in a residential park and my home is not very well insulated. My bills are sky high when I have the heating on all the time so I’m always switching it on and off. 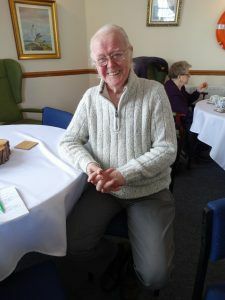 “I suffer from Chronic Obstructive Pulmonary Disease, arthritis and chest problems which are all made worse by the cold. My husband also suffers from numerous health conditions including sight loss and diabetes and he really feels the cold so we don’t go out much. “I live alone in a two bedroom house and my pension credit has been going down for a number of years now. In winter I usually just use a small halogen heater instead of putting the heating on. I only put the gas on for a bath, not for heating, as it’s too expensive. “I live on my own and I only put one radiator on because I’m frightened of what the costs will be if I heat the whole house. I tend to use a hot water bottle instead. I have damp in my bedroom, which aggravates my asthma so I need to put the heating on more often. “I live on my own, but I have to heat the house as if it is full of people. When you are on your own, your bills are the same as the couple next door, but there’s only one income. I have the heating on in the morning and the evening but its off during the day and at night. If it is really cold I will leave it on. Judy has Multiple Sclerosis and has been in a wheelchair for 34 years. When she gets cold her legs lock and she can’t move. Just getting about from day-to-day she relies on morphine pain relief patches. 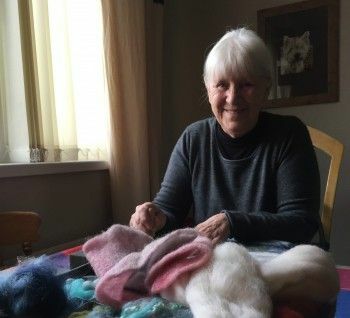 She found herself homeless in January when her privately rented bungalow was deemed unfit to live in. 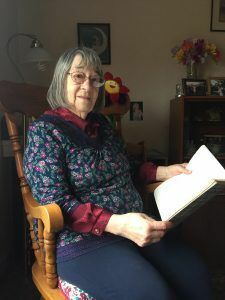 The house had no hot water because if she turned the water heater on – all the electrics in the house blew; if she turned the electric fire on, once again the electrics tripped. There was no central heating. 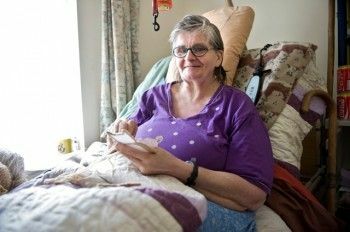 She couldn’t get warm – even with five quilts on her bed. She relied on a coal fire to heat one room. The money from Cumbria Community Foundation bought a month’s worth of coal. She was using a bag a day – last winter that was costing her £13 a bag. 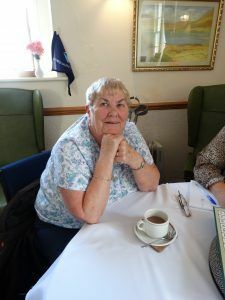 “I was just so grateful to receive the money from the Winter Warmth Fund, I spent £160 over Christmas and New Year on coal and that just heated one room. She wasn’t joking. One January morning, the money and the coal had run out. A visitor noticed she was going blue and called her GP. She had hypothermia. A kind friend took her in, nursed her back to health and has provided a roof over her head while she waits for a housing association property. Jyoti had to move out of Carlisle when the sheltered accommodation she was living in closed. She is now living a few miles out of the city and has been left very isolated by the move. She’d spent her savings doing up the kitchen in her old flat so she didn’t have to bend down to get anything out of the cupboards. Now she is back to square one and her heart, lung and mobility problems leave her pretty much housebound. She can’t walk more than a few paces and is fearful of venturing out on her mobility scooter and getting lost or stuck. She can’t get to the supermarket from her new place so she relies on the local individual shops that are harder to get in and out of and more expensive. She can’t get into the city because she can’t get on and off a bus. But she is teaching herself how to paint with watercolours and she has formed an art group with her fellow residents. “The grant makes a vast difference. I hesitate to put the heating on all the time because of the cost and I know the costs are going to rise again this year, which is a real problem. I live on my own and struggle to keep warm. I don’t like to go out much in winter in case I slip and have an accident so I prefer to stay in. I usually go to bed at 7pm to stay warm and avoid putting the heating on.